Pasamos unas vacaciones estupendas! Las vistas son lo mejor, lo recomendamos a todos! Spend the best time of ours life! Great customer service, they helped us with everythig. Couldn't be better! Great appartment! Everything was perfect! 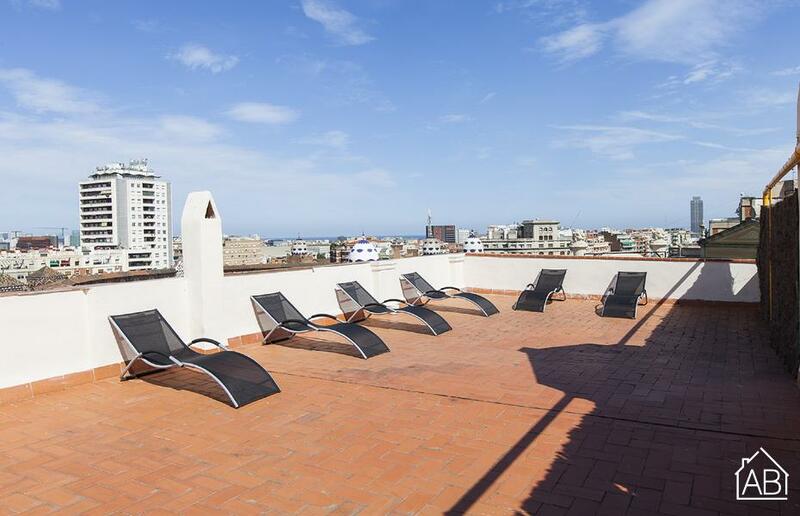 This wonderful apartment is situated in the lovely neighborhood of Eixample. Here you will find plenty of great bars and cafés, as well as some top-notch restaurants. The spectacular Sagrada Familia church is located just a few blocks away on foot, and you can easily reach other parts of the city, thanks to a metro station located just outside the building. Furthermore, the apartment is situated near the Glòries shopping center, and the famous Passeig de Gràcia shopping street is just a 10 minute walk away. The apartment has a stylish décor, with modern fittings and furnishings. There are six single beds distributed throughout the three bedrooms, allowing a total of six people to sleep comfortably in the apartment. The fully equipped kitchen has everything you need to create your own home-cooked meals. The living room has a TV and a large sofa, perfect for unwinding after a long day of sightseeing. An Internet connection is available in the apartment, allowing you to keep in touch with friends and family back home. There are also heaters and air conditioning in the apartment, plus a washing machine for your convenience. What´s more, the apartment has two bathrooms, for extra space and privacy. With a fantastic location, a metro station right outside and great amenities, this apartment is the ideal base for your stay in Barcelona.